Lewis Rice member John C. Bodnar was selected as a BTI Client Service All-Star for 2015 by BTI Consulting Group, Inc. corporate counsel. John is one of 354 attorneys nationally to be named with this prestigious honor. The All-Stars are selected after hundreds of in-depth, independent interviews with legal decision makers at the world's leading organizations. BTI is the leading provider of strategic research to the legal community. BTI conducts the only continuous benchmarking market study in the legal services industry. John represents public and private company clients from across the country in varied industries in the areas of mergers and acquisitions, securities, and general corporate law. 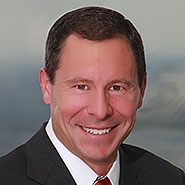 In addition to large, sophisticated national transactions, John has a tremendous amount of experience working with smaller to medium-sized companies, particularly in the St. Louis region.